Do you ever wonder if you have healing abilities? The answer is yes. Everyone has the ability to help themselves and others to heal. You may be acting as a healer every day of your life & not be aware of it..
Firstly let us explain that bio energy is an energy healing method generally used by practitioners who work in the area of alternative or complementary medicine. The word bio energy is believed to have originated from two Greek words ‘bio’ meaning ‘life’ and ‘enérgeia’ meaning movement, at work or in motion. 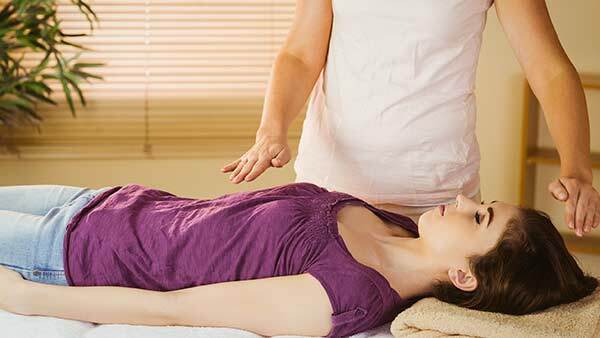 Many people ask what is Reiki? Others claim they know exactly what it is because they may have experienced it at some stage. Briefly described it is a healing modality which can be applied during an alternative or complementary healing session. What does holistic healing mean? In philosophy holistic is the belief that the parts of something are intimately interconnected and explicable only by reference to the whole. With holistic healing or holistic medicine we look at the bigger picture. What is the difference between complementary medicine / alternative healing methods and traditional or orthodox medicine? Most people are familiar with conventional medicine, orthodox..
For thousands of years Shamans and Healers from different cultures and continents around the world have been aware and made use of the power of energy healing and vibration for healing. The basic principal of energy healing as a modality is to help bring the person’s body to a state of homeostasis, With the help of some areas of scientific research and based on the laws of physics we will try to clarify in basic terms, the principal behind energy healing. Anyone can learn Bio-Energy Healing Therapy, for self-healing, as a career or for use in your home with your family. All you need to learn about energy healing is here. It includes step by step easy to follow instructions. human transformation describes the results of 30 years of experimental studies demonstrating correlations between subtle energies and their effect on the physical environment around us. ADHD - Attention Deficit Hyperactivity Disorder can affect teenagers and children and sometimes can continue into adulthood. It is the most common diagnosed mental disorder of children. How the body reacts to pain. The body contracts to protect itself from physical or emotional pain and it is this contraction that may create blockages or closure of a particular chakra. The purpose of energy healing therapy is to help clear these blockages and to help balance the energy fields of the body. Everything in the universe and all living organisms have a vibrating energy field. Living cells, tissues, and organs, and the human body as an organism generates measurable electromagnetic fields, called subtle energy fields or bio-fields. Anxiety can be a feeling of apprehension, unease, or an unknown sense of fear. Everyone experiences feelings of Anxiety at some point or time in their lives. It could be waiting in the queue for a job interview. Very few people go through their lives without experiencing some form of back pain. For example; Injury to discs, joints, muscles or ligaments. The cause of chronic to severe to mild back problems can be anything. One of the most common complaints we have seen at our clinic is problems related to the gastrointestinal tract. A person may have already been medically diagnosed with the cause of the symptoms they are now experiencing.